I almost never read romance, but when I do it's almost always Jennifer Crusie. She has a way of writing romance without the melodrama, and even when there is angst, it's almost always short lived and smothered in wry humour. The fact that all her characters staunchly defend and rescue animals makes it even easier to fall into her stories; her characters are just so easy to like. 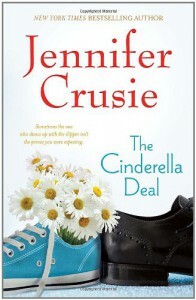 The Cinderella Deal is one that I've had on my shelves for ages, but sort of thought I'd already read. Turns out I hadn't. It's one of her earlier books and one of the simpler plot lines but Crusie is so damn readable I was quickly lost in the story. What I thought was a beautiful touch was the thread of faith that runs through the narrative. Daisy refuses to take a false vow before God, and when her mother-in-law is ill she gives Linc the Bible to read to her. Normally I'd be complaining here because I've almost never seen any author weave faith in without brandishing it like a battle axe (my perception is admittedly touchy about this) but Crusie was awesome. First, she never dwelled on it; it was just a part of the narrative in the same nonchalant way Daisy painted the walls. Second, in those few scenes, it was always books from the old testament mentioned, which are just as applicable to Judaism as they are to Christianity. The only reason a reader would assume Daisy is Christian at all is because of the off hand mention of the Bible itself as the source of the reading. 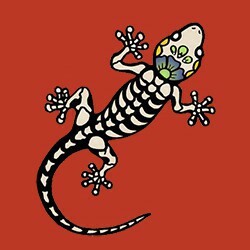 I liked the way it was done; it felt sincere, more inclusive, and not at all like flag-waving. If you like light hearted, easy, entertaining reads, I maintain that you just cannot go wrong with Crusie.